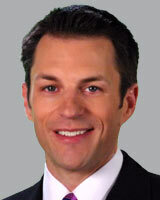 Weekend Sports Anchor, Joe Mazur, joined ABC 11 Eyewitness News in January 2001. Joe also serves as a weekday Sports Reporter. Prior to coming to Eyewitness News, Joe was the Sports Director and Weekday Sports Anchor at KFOX in El Paso, Texas. He began his sports broadcasting career at KJCT-TV in Grand Junction, Colorado. Joe has received numerous honors during his career, including Associated Press Best Sports Cast in 1997,1998, and 1999. He was also nominated for an Emmy for work on a Dallas Cowboys special and received the Crystal Award Of Excellence for the same program. A native of Fort Collins, Colorado, Joe enjoys not only watching sports, but playing them. He also enjoys spending time with his dog Griffey, cooking and listening to music. Joe is a graduate of Colorado State University where he received a BS in Natural Science and Journalism. Request Joe to speak at your event. Hurricanes rookie star Andrei Svechnikov was knocked out by the right hand of Capitals superstar Alex Ovechkin. Hurricanes coach Rod Brind'Amour said he went to check on the 19-year-old after the period and he "wasn't looking too good." There are no heads hanging. The Carolina Hurricanes firmly believe they can beat the Capitals. They just have to be less "cute." Now that the Hurricanes are finally back in the playoffs, the players are focused on the monumental task of knocking off the defending champs. UNC is getting ready to face off against Auburn in the Sweet Sixteen. Freshman star Nassir Little may not play in North Carolina's Sweet Sixteen game against Auburn on Friday.